Commentary: Students must be taught what science is. And is not. 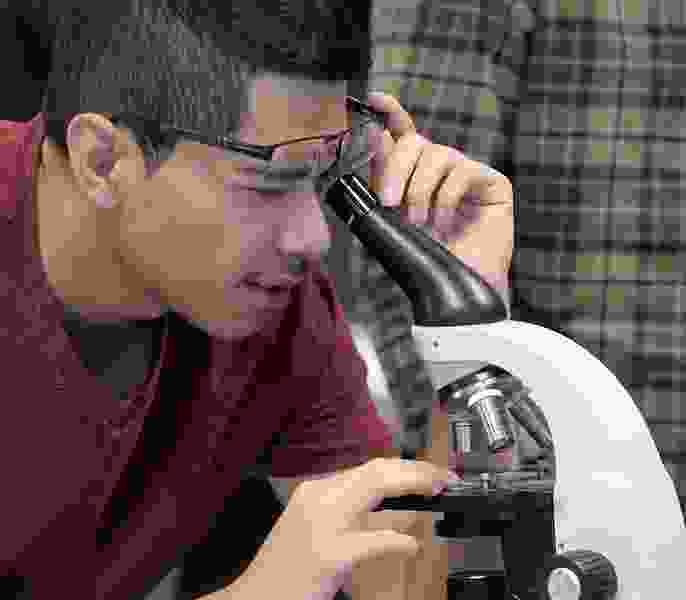 Al Hartmann | The Salt Lake Tribune Eleventh-grader Hector Anguino counts paramecium from a glass slide, part of a national science competition in biology class, Wednesday, Oct. 26, 2016, at Salt Lake Center for Science Education. A draft of Utah’s public school science standards is now available for review and debate. It’s time to understand what science actually is and what it is not. In part, science is a collection of facts regarding the natural universe. The sun, not the Earth, is the center of our solar system. The Earth is spheroid, not flat. Many diseases are caused by germs and can be treated effectively by medicines. Scientific facts play an essential role in benefiting society and humanity. That’s one practical reason that science education deserves our full, uncompromised support. But that’s not the only reason. Because science is also more than just a set of facts. And less. Science is also a method. It’s the best method we have for discriminating between what’s empirically true about the natural world and what we might wish to be true — but isn’t. From an educational perspective, it’s critical that children learn and understand the scientific method as well as the specific facts it generates. That’s because it’s the method itself that allowed those facts to be determined in the first place — and that will allow more, new facts to be determined. Formally teaching the scientific method is important because it’s a counterintuitive way of thinking. In contrast to our natural tendencies, science attempts to disconfirm — rather than confirm — our favored hypotheses. Nearly every scientific experiment involves “control groups” that explore whether other explanations can account for results. Maybe it’s not the drug itself that’s effective in treating a disease; perhaps a placebo would work just as well. That approach — involving sincere attempts at refutation — is why science works. And why religion doesn’t. “Doubt your doubts before you doubt your faith,” preached Dieter F. Uchtdorf, then a counselor in the governing First Presidency of The Church of Jesus Christ of Latter-day Saints. Maybe that’s good ecclesiastical advice, but it’s the antithesis of science — and a horrible approach for ferreting out errors. Conclusions that survive repeated, systematic challenges are far more likely to be correct. Science and religion often conflict. Their methodologies are inherently incompatible. Understandably, their conclusions often conflict, too. Evidence-based approaches produce reliable empirical conclusions; faith-based approaches do not. Which brings us to the politically divisive topic of evolution, as part of science education. Make no mistake: The controversy regarding evolution is a sociological and religious one, not a scientific one. It’s scientifically risible to teach the Biblical creation myths as empirical fact. Willfully deleting scientific findings simply because they conflict with religious beliefs is intellectual fraud. Some members of the Utah Board of Education have complained that the new science standards “promote too secular a view of the world.” That’s like complaining that reading relies too heavily on words. By definition and practice, science is an inherently secular enterprise. Science generates knowledge by using the scientific method, not by divine revelation — even by scientists who are religious. When it comes to the natural, empirical world, supernatural explanations are no explanations at all. State School Board member Alisa Ellis previously complained that Utah’s science standards have a “heavy emphasis on evolution as a fact and not a theory.” But, in scientific jargon, a “theory” isn’t just a hunch. It’s an explanation, typically a well-developed one, that ties facts together. The theory of evolution — the explanation for changes in gene frequencies over generations — is one of the most developed, substantiated scientific explanations we have. Scientifically, the theory of evolution is accepted far more than is any theory (explanation) of gravity, which remains poorly understood. But nobody’s upset about teaching gravity as fact. Gravity was once thought to be forces arising from the beating of angels’ wings. In principle, such divine forces, redirected, could also keep praying believers safely aloft. But when coming down from the top of a tall building, even the most devout instead take the stairs. It’s only prudent that our educational system teaches our children to do the same — and helps them to understand why. Gregory A. Clark, associate professor of biomedical engineering at the University of Utah, dedicates this commentary to his recently deceased father-in-law, Paul Bock, a pioneering engineer and scientist, educator and uncompromisingly vocal activist for social justice.